A central player in Israeli affairs since the state’s inception, Ariel Sharon molded history according to his own stark vision. He won consent for his plans through ruthlessness and guile, and resorted to force when he could not find any. An accused war criminal who presided over the killing of thousands of civilians, his foes referred to him as “The Bulldozer.” To those who revered him as a strong-armed protector and patron saint of the settlements, he was “The King of Israel.” In a life acted out in three parts, Sharon destroyed entire cities, wasted countless lives and sabotaged careers to shape the reality on the ground. The first act of Sharon’s career began after the 1948 war that established Israel at the expense of 750,000 Palestinians who were driven away in a campaign of mass expulsion. Badly wounded in the battle of Latrun, where the Israeli army suffered a bitter defeat at the hands of the Royal Jordanian Army, Sharon momentarily retired from army life. He looked back in anger at the failure to take Latrun, a strategic swath of land containing three Palestinian towns seemingly obstructing the new Jewish state’s demographic continuity. Spineless politicians and feckless commanders had tied the hands of Israel’s troops, he claimed, leaving the Jewish state exposed from within. Sharon yearned to finish 1948—to complete the expulsion project he viewed as deficient. In 1953, Sharon was plucked out of retirement by Prime Minister David Ben Gurion and appointed the head of a secret commando unit tasked with carrying out brutal acts of reprisal and sabotage. Following a lethal Palestinian assault on an Israeli kibbutz, Sharon led his men into the West Bank town of Qibya with orders from Ben Gurion’s Central Command to “carry out destruction and cause maximum damage.” By the time they were done, sixty-nine civilians—mostly Palestinian women and children—lay dead. In the years after that scandal, Sharon carried out bloody raids on Egyptian and Syrian territory that inflamed relations with Israel’s neighbors and led them to seek urgent military assistance from the Soviet Union. In the 1956 Sinai Campaign, Sharon was accused by one of his commanders, Arye Biro, of overseeing the massacre of forty-nine Egyptian quarry workers who had been taken prisoner and had no role in the fighting (official censorship kept the details from the public for decades). In the 1967 Six Day War, Sharon ran up the body count on encircled Egyptian tank units, converting unprecedented kill ratios into national fame. With the Gaza Strip now under Israeli control, Sharon orchestrated the razing of Palestinian citrus orchards to make way for Jewish colonization. During the 1973 war, Sharon waged his own parallel war for personal glory. Determined to be the first Israeli commander to cross the Suez Canal, he sent his soldiers rushing into the teeth of the Egyptian army without sufficient artillery or air support. Scores of his men died in the blind thrust while entire brigades were left exposed. But Sharon salvaged his quest for fame when his tank brigades encircled the Egyptian Third Army. After the battle, photos of the general standing proudly in the Egyptian desert, bandaged from a superficial wound and surrounded by soldiers hailing him as “The King of Israel,” circulated in the Israeli and international media. The high-flying political career he had sought was now guaranteed. In short order, Sharon helped found the Likud Party, opening the second act of his storied career. Though set on a rightward political trajectory, Sharon owed his fortunes to the icons of Labor Zionism. His original patron, Ben Gurion, and the younger warrior-politician Moshe Dayan, constantly shuffled him up the ranks of the military hierarchy, despite a clear pattern of scandalously insubordinate behavior. His first cabinet-level post was an abbreviated stint in the 1970s government of Yitzhak Rabin, the quintessential Laborite, who imagined Sharon leading a reorganization of the army following the disaster of the 1973 war. But it was in the Likud-led 1977 coalition of Menachem Begin that Sharon was finally able to translate his influence into history-altering policies. Having established himself as the visionary behind the settlements, Sharon set his sights on the Ministry of Defense, actively intimidating Begin to fulfill his ambition. When Begin finally capitulated before Sharon’s bullying, he declared only half-jokingly that Sharon might have staged a military coup if he hadn’t been offered his desired sinecure. Sharon entered the Defense Ministry consumed with dreams of an Israeli-friendly Christian puppet government in Beirut—the bulwark of a regional Israeli empire. Clamoring for an invasion of Lebanon, Sharon withheld his true intentions from everyone except perhaps Begin, claiming he merely aimed to drive the PLO out of southern Lebanon, where it had staged periodic raids on Israeli territory. When Begin green-lighted Operation Peace for Galilee in June 1982, Sharon sent Israeli tanks rumbling towards Beirut without the approval of the rest of the cabinet, whom Sharon had deliberately deceived. Many of them were outraged, but it was too late to turn back. Against fierce Palestinian resistance, one of the Middle East’s most vital and cosmopolitan cities was laid to ruin. Sharon’s forces flattened West Beirut with indiscriminate shelling, leaving streets strewn with unburied corpses. With each passing day, disease and famine spread at epidemic levels. In August, the day after the Israeli cabinet accepted US special envoy Philip Habib’s proposal for the evacuation of the PLO, Sharon’s forces bombarded Beirut for seven hours straight, leaving 300 dead, most of them civilians. The Israeli sociologist Baruch Kimmerling wrote that the raid “resembled the attack on Dresden by the Allies toward the end of World War II.” Sharon even requested an additional paratrooper brigade to obliterate the PLO forces besieged in the city, earning a rare rebuke from Begin, who worried that his defense minister would completely destroy Habib’s efforts to resolve the crisis. PLO forces withdrew from Lebanon, according to Habib’s guidelines, but the worst was yet to come. 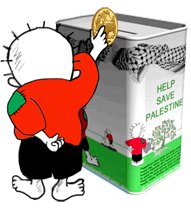 Sharon had stymied a proposal for the introduction of multinational peacekeepers capable of preventing reprisals against the defenseless Palestinian refugees who had been left behind. Thus the stage was set for the most heinous massacre of the war. Following the assassination of Bashir Gemayel, the Christian warlord who was supposed to serve as Sharon’s handpicked puppet president, Israeli forces helped usher Christian Phalangist militias into the Palestinian camps of Sabra and Shatila, then surrounded by the Israeli military, providing them with intelligence and operational support. Sharon and many of his officers were well aware of the Phalangists’ intention to murder as many women and children as they could. After days of slaughter, as many as 2,000 civilians were dead, with countless others raped and brutalized. In February 1983, Israel’s Kahan Commission found Sharon “indirectly responsible” for the massacre, urging his dismissal as defense minister. With the Israeli body count was piling up in Lebanon, city squares in Tel Aviv and Jerusalem were thronged with outraged mothers and a growing movement of service refuseniks. The antiwar demonstrations shook the confidence of the army’s high command. At the prime minister’s office, Sharon berated Begin and his ministers, warning them, “If we adopt this [Kahan] report, all our ill-wishers and naysayers will that what happened in the camp was genocide.” Calling the findings “a mark of Cain on all of us for generations,” Sharon adamantly refused to step down. During the meeting, a right-wing Jewish terrorist lobbed a live grenade into a crowd of antiwar protesters right outside the prime minister’s office, killing the teacher and antiwar activist Emil Grunzweig. The incident was Sharon’s coup de grâce, prompting his resignation. Though he remained in government as a minister without portfolio, his dreams of serving as prime minister appeared to be dashed. Sharon’s fear of prosecution did not end with his resignation. In July 2001, a Belgian court opened an inquiry into the Sabra and Shatila massacre when a group of survivors filed a complaint under the country’s “universal jurisdiction” guidelines. Elie Hobeika, the Phalangist commander directly responsible for the killings, was assassinated months later, after informing Belgian politicians that he would testify against Sharon. “Israel doesn’t want witnesses against it in this historic case in Belgium which will certainly convict Ariel Sharon,” the Lebanese Minister of Displaced People Marwan Hamadeh remarked at the time, echoing widespread speculation about Sharon’s involvement. In September 2003, with Belgian relations with Israel at an all-time low, the Belgian court threw out the case, citing Sharon’s diplomatic immunity. The beleaguered peace camp was shocked at the intifada, but also cynically misled by Sharon’s predecessor as prime minister, Ehud Barak, who declared after the collapse of the Camp David negotiations that there was “no Palestinian partner” for peace. Sapped of confidence, they became quiescent while the mainstream united behind Sharon, their vengeful protector. With a free hand to deploy tanks and combat jets against Palestinian population centers, Sharon oversaw a campaign of carefully calculated brutality, culminating, in 2002, in the comprehensive demolition of the Jenin refugee camp. 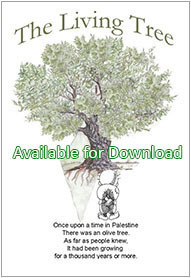 Baruch Kimmerling termed Sharon’s strategy “politicide,” a “gradual but systematic attempt to cause [Palestine’s] annihilation as an independent political and social entity.” As in the beginning, Sharon’s unspoken goal was to finish the war of 1948. 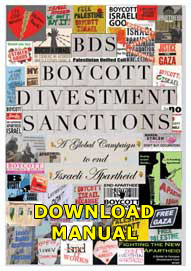 While Israeli bulldozers trundled across Gaza and the West Bank, Sharon announced his intention to “make separation across the land.” Though initially resistant to the idea, he resolved to fulfill a plan first introduced in the 1990’s under Yitzhak Rabin: the construction of a vast wall that would drive a nail into the coffin of the Palestinian national movement. Cutting into the West Bank and Jordan Valley, the wall would effectively annex 80 percent of settlements into Israel proper, consolidating the country’s Jewish demographic majority while relegating Palestinians to a permanent regime of ghettoized exclusion. Next, Sharon planned to pull Israeli settlers from the Gaza Strip, setting the stage for a high-tech siege of that occupied coastal territory. Unlike in the past, Sharon sold his plans to the public with carefully calibrated, subtle rhetorical touches. Stunned by a new movement of mass refusal—a group of former and active Israeli air force pilots had issued a letter declaring their refusal to participate in operations in occupied territory—and by the furious opposition of the settlement movement to his plan, Sharon uncharacteristically proclaimed that the occupation was a “bad thing for Israel.” Next, he bolted from Likud, cobbling together a random assortment of politicians including his former aide, the telegenic, PR-friendly Tzipi Livni, to drive the separation plan forward under the banner of Kadima. Sharon’s maneuvers earned him the political space he needed to fulfill his goals. Haaretz, the voice of Israeli liberalism, supported the vast separation wall as a “revolutionary” step towards two states. Endorsing the withdrawal of settlers from Gaza, The New York Times editorial board declared that Sharon “should be cheered.” Back in Tel Aviv, the anti-settlement group Peace Now and the Labor Party organized a mass demonstration in support of the Gaza disengagement plan. Winning liberals to his side was Sharon’s final political coup, and probably his most consequential. …when 2.5 million people live in a closed-off Gaza, it’s going to be a human catastrophe. Those people will become even bigger animals than they are today, with the aid of an insane fundamentalist Islam. The pressure at the border will be awful. It’s going to be a terrible war. So, if we want to remain alive, we will have to kill and kill and kill. All day, every day.